Well, the Dog's daughter got arrested for DUI and disorderly tonight....boy what a drama queen!!! Saw a guy on a sport bike by Kaiser Honolulu clinic. He looked like this. He should close the Pali gates. Pele might keep him as a pet or kalua him. 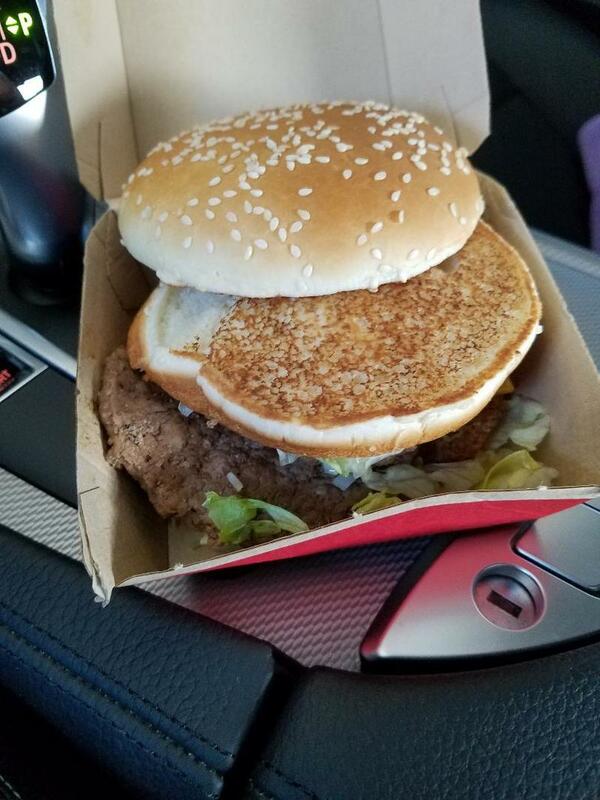 Something is missing in my Big Mac. I thought it was a fluke and opened the 2nd one. Same thing. Went back to McD's and the manager went WTH! At least they were consistent...which McDs was this? Not bad? Back in the day, old BMWs had carbon buildup problems and the factory solution was to blast crushed walnut shells. Victoria Street? What's with these brand on brand truck wars. First it was the 2 F150s. Jo Koy might make a joke about the Tacomas procreating! Sideways/scissor style! Damn drunk driver took out another one of our cars!!! !